Millet muffins are a hearty and healthy way to start your morning. Millet and whole wheat flour are combined with honey for a naturally sweet snack bursting with healthy flavors that are as good for you as they are delicious! If you are looking for an easy way to make your diet a little healthier without sacrificing flavor, try these millet muffins today. You will be amazed by how quickly they are gone! 2. In a large bowl combine whole wheat flour, millet flour, baking powder, baking soda and salt. Set aside. 3. In another bowl combine buttermilk, egg, olive oil, and honey. Add to flour mixture and combine until just moist. 4. Fill muffin tins until 2/3 of the way full. 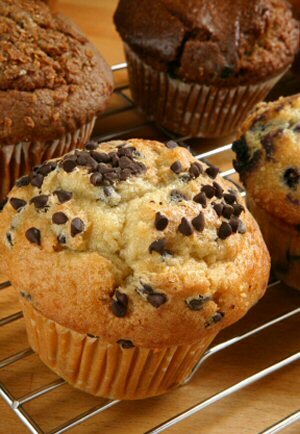 Bake 15 to 20 minutes or until a toothpick inserted into the center of a muffin comes out clean.